Rachel Ivy Clarke is currently an assistant professor at the Syracuse University School of Information Studies. Her research focuses on the application of design methodologies and epistemologies to librarianship to facilitate the systematic, purposeful design of library services and library education. 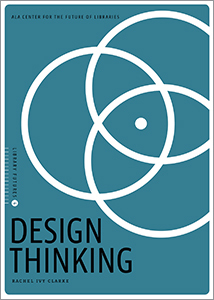 Current projects include the IMLS-funded Designing Future Library Leaders project (RE-98-17-0032-17), investigating the integration of design methods and principles in graduate level library education, and the OCLC/ALISE funded project The Critical Catalog, which draws on critical design methodology to provoke the exploration of diverse library reading materials. She holds a BA in creative writing from California State University, Long Beach, an MLIS from San Jose State University, and a PhD from the University of Washington. Her dissertation, which argues that the field of librarianship is more appropriately viewed as a design field rather than a scientific one, received the 2017 iSchools dissertation award and the 2018 ALISE Eugene Garfield dissertation award.